While exploring the artistic and cultural treasures inside our state’s museums, you might notice that several of the buildings themselves are works of art. Take a tour through our creative landscape, which features works from prize-winning architects such as Louis Kahn, who designed the Kimbell Art Museum in Fort Worth; Renzo Piano, the mastermind behind the Nasher Sculpture Center in Dallas and The Menil Collection in Houston; Tadao Ando, who is responsible for the Modern Art Museum of Fort Worth; I.M. Pei, who created Dallas’ Morton H. Meyerson Symphony Center; and many more. 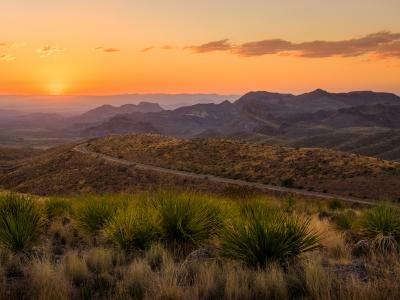 On a quick trip through El Paso and West Texas, you’ll be surrounded by buildings that carry the legacy of Henry C. Trost, an iconic Southwestern architect between 1860 and 1933. He established the firm Trost & Trost with his brother in El Paso and went on to design hundreds of commercial and residential buildings throughout the Southwest, including many of the buildings at the University of Texas at El Paso. For the full Trost experience, stay at one of the hotels he worked on in the Big Bend region. 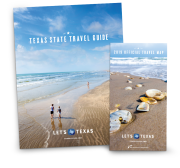 The Camino Real in El Paso, El Paisano Hotel in Marfa, Hotel El Capitan in Van Horn, the Gage Hotel in Marathon and the Holland Hotel in Alpine are all fantastic options. In Dallas, you can spend a day amid incredible architecture at Fair Park while you shop, eat and enjoy entertainment, including the annual Texas State Fair. Fair Park is home to the world’s largest collection of 1930s Art Deco exposition buildings, including the Cotton Bowl, Magnolia Lounge and Centennial Hall. Fifty structures were built for the Texas Centennial Exposition in 1936 with Texas-themed murals, bas-relief sculptures, statues and mosaic floors adorning them, and today, 20 remain. To learn about the park’s design and history, take a guided Esplanade or Lagoon walking tour. Throughout the state, you can visit ornate theaters designed to help people escape from everyday life with artistically decorated exteriors and fantastic interiors. Many communities take pride in preserving these designs and the beauty of their historic theaters. To see a few of these beauties in person, head to the Romanesque revival-style Grand 1894 Opera House of Galveston, which is one of the few remaining theaters of its era, the stunning Spanish Mediterranean-style Majestic Theater in San Antonio or Midland’s Yucca Theatre, which features a Gothic revival exterior and Egyptian revival interior. 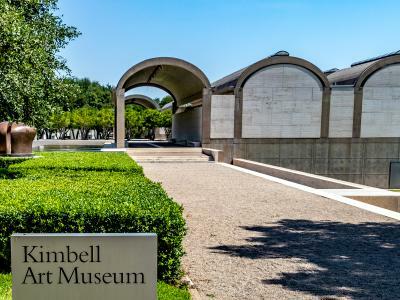 With artistic architecture in every corner of Texas, some brimming with treasures to discover, you might just be in a constant state of wonder as you traverse our towns and cities. Make time to visit one of these historic masterpieces and let your creative imagination run wild.